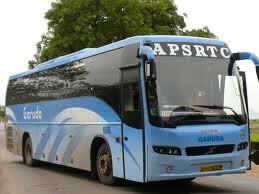 In a country like India, it is impossible to survive without bus services due to the huge population. You need to book a ticket for train in two months advance and if you forget to do so, then bus is your only option available for traveling between places. Its tickets are easy to get, although it is not as much comfortable as train but with introduction of Volvo has made the journey comfortable. A lot of people travel in buses these days. Some of them travel for business purpose while some of them travel for leisure. So bus service of any city must be frequent and prompt.